Marijuana does, of course, have chemicals in it especially the main offender THC which is the cause of many of pots famed properties and that stays in the user’s system for long after you smoke the substance. This THC and others do not cause the incredible physical cravings that some harder drugs and cigarettes are known to. However, they do get you high. This makes the weed addicting despite all other properties. The high is why people abuse any form of drugs, for a moment they can be lifted out of reality and given something briefly sublime before crashing back to earth and realizing nothing has changed. For most people who continue to smoke cannabis, nothing does change, and they become addicted to weed in a purely psychological way. As a user of weed, You will experience pleasant sensations, sounds, and colors that may seem more intense, and time is passing slowly. Your mouth will feel dry, and you may suddenly appear thirsty and hungry. Your hand will also grow cold and tremble. When THC levels run low (generally after 1 or 2 days) it creates a state of psychology same to what smokers undergo when they haven’t had a cigarette for a while. Increasingly we become uptight and restless until that is, we go to our dealer’s house and top-up with cannabis. Only after you light up a bong do you abruptly feel like your usual self and a human being who is fully functioning again. But if marijuana is not readily available, it ignites the fear we won’t be able to relax or enjoy the rest of the day or evening without it. In this respect, cannabis is no different from any other form of drug addiction. When you run out what matters most is searching out a supplier. Eventually, when you manage to get hold of some, the sense of relief and relaxation upon inhaling it feels genuinely pleasurable. But the point is that it isn’t genuine pleasure or relaxation at all. All we are doing is temporarily removing the tension that THC itself creates. Before taking up cannabis the need to control how we feel, think and function with regular doses of a drug does not exist. It should be remembered that marijuana artificially creates that need to get back to feeling calm and relaxed again. Looking for a simple and clean option and full control of your daily CBD intake? Try HealthwoRx CBD Capsules. Pure CBD oil in a vegetable pill. 1500mg on sale for $94.99! Detection time drug test is the detection window for drugs that are abused. If you are tested sooner or longer after use, the drugs cannot be seen in your urine. How long does THC stay in your system? This is a common question. The amount of time that the presence of drugs of abuse in the body can be detected is an essential factor in drug screening. When finding out the duration for the presence of drugs in the body, you must take into consideration such variables which include individual’s physical condition, body’s metabolism, the overall balance of body fluid, the frequency of usage and state of hydration. Frequency and Amount of Use: Isolated, single and small doses are recognized generally at the lower boundary. Long-term and Chronic use will result in upper boundary detection periods. Metabolic Rate: people whose body metabolic rate is slow to have more extended periods of drug detection. Mass Of The Body: Increase in body mass slows down human metabolism. This results in drug detection periods which are longer. Besides, THC is prone to exist in fatty lipid tissue. Physically inactive and Chronic users, together with individuals whose body fat percentage is high compared to body mass in total has more extended periods of drug detection for THC. Age: Human metabolism is affected by age. The higher the age, the slower the detection periods of the drug. 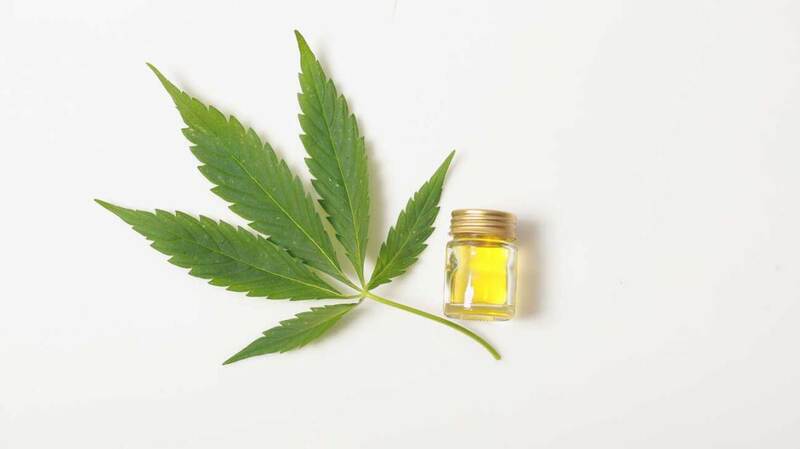 Click here to read the Top 10 Benefits of CBD for the Elderly! Health: Human metabolism is affected by deteriorating health. It slows down in such periods resulting in the drug detection periods being prolonged. Tolerance Of The Drug: Users metabolize the drug faster once an understanding is established to the drug. pH Of The Urine: Urine pH can also affect the period of drug detection. Urine that is highly acidic results in periods of shorter drug detection. Long-Term use of 1 to 4 weeks, THC is deposited in tissues with fatty lipid by your body. From the muscles, it is released slowly into your bloodstream for several weeks. This depends on the frequency and amount of use and the user’s level of physical activity. In physically inactive and chronic users, THC will be stored in tissues with fatty lipids faster than it is removed. This build-up results in detection periods longer for such individuals. Also, if you are a drug user and have a high body fat percentage in comparison to your body mass in total, you can be prone to drug detection periods that are longer for marijuana. In limited cases, users will test positive in longer periods than the time it should take. However in few cases of long-term abuse, if your body fat is significant, and you have issues related to your health, the abuse of drugs may give rise to low body metabolism. THC (delta-9-tetrahydrocannabinol) is the main chemical ingredient which is active and produces short-term harmful effects. They include depression, distorted perceptions, anxiety, thinking difficulty and memory impairment. The stronger the THC content in the weed, the more severe the reactions will be. THC is a kind of fat-soluble substance, which will accumulate in the body. It will gather in the essential organs of the body including liver, testes, and lungs. Some of the THC content will be accumulated in the urine. The THC test is usually performed after three days the person consumed the weed. If a blood test is executed, it will take 2 – 4 weeks for it to appear. On the other hand, you have CBD, which you can learn more about here. 500mg Full Spectrum CBD Oil for $34.99! Marijuana usually refers to the leaves and flowering buds of the Cannabis plant. It is a psychoactive drug and contains well over 400 chemicals. Of them, Marijuana is mostly abused as it gives a feeling of high or euphoria immediately and can last for 1-3 hours. The use of Cannabis has some adverse effects, especially on the brain and the body. When you use marijuana, THC quickly passes into your bloodstream from the lungs, it transfers harmful chemical to your brain and other organs of the body. CBD Products affect everyone differently, click here to read our blog on why this is! When someone smokes or consumes marijuana, the bloodstream carries the active THC compound to the brain. THC in the brain combines with the cannabinoid receptors, which are mostly found in those regions of the brain, which control memory, thinking ability, and concentration. By altering the activities of these neurons, THC impairs a person’s mind, focus, and thinking ability. Some studies have shown that THC negatively impacts a person’s ability to learn. This can be more problematic for teenagers during the adolescence period since they still have developing brains. When the chemical found in Marijuana mixes up with neurons in the brain which assists in controlling the senses such as concentration, the intoxication of THC results in distorted perceptions, Thinking difficulty and problem solving, short attention spans and less focus. Marijuana users suffer from short term memory loss. THC affects the brain’s memory receptors. This makes it difficult for you to retain and process information. What does THC do to the body? Apart from negatively affecting the brain, Marijuana has many adverse effects on the human body. In addition to the harmful THC, it has carcinogens which can cause severe damage to the respiratory and other organs in your body. Marijuana use causes some common ailments such as cough, emphysema, chest colds, air passages blockage, bronchial asthma, and bronchitis. People smoking marijuana sometimes develop such problems like coughing, wheezing and phlegm production. If you consume cannabis, you will have more chest colds than those who do not use it. You will become more exposed to infections of the lung like pneumonia. Studies have shown that marijuana contains carcinogens that can act as irritants to the lungs. In General, if you use the weed by inhaling it more deeply and then hold your breath for long. This can further make it increase the exposure to carcinogenic smoke which is harmful. This is a disease of the lung which shortens the individual’s breath. THC toxins can destroy the tissues of the lung necessary to provide support for the function and physical shape of the lungs. THC which is fat-soluble substance in addition to that, it comes together in the lungs and other organs which are composed of fatty tissues. If you persistently use the weed, it can destroy your airways and lungs thus may give rise to bronchial asthma. Apart from effects on the brain and body, it has many adverse effects on social functioning in the context of family, school, and work. Therefore, it is essential to be aware of and understand the consequences of THC in your body to avoid and deter the harmful drug. If you are a chronic user of the weed, You should consider quitting as early as today. Being aware of the side effects that you will experience and get prepared to handle it. This entry was posted in CBD Science and tagged HOW LONG DOES THC STAY IN YOUR SYSTEM, thc, WHAT DOES THC DO, WHAT DOES THC DO TO THE BRAIN, WHAT IS THC.